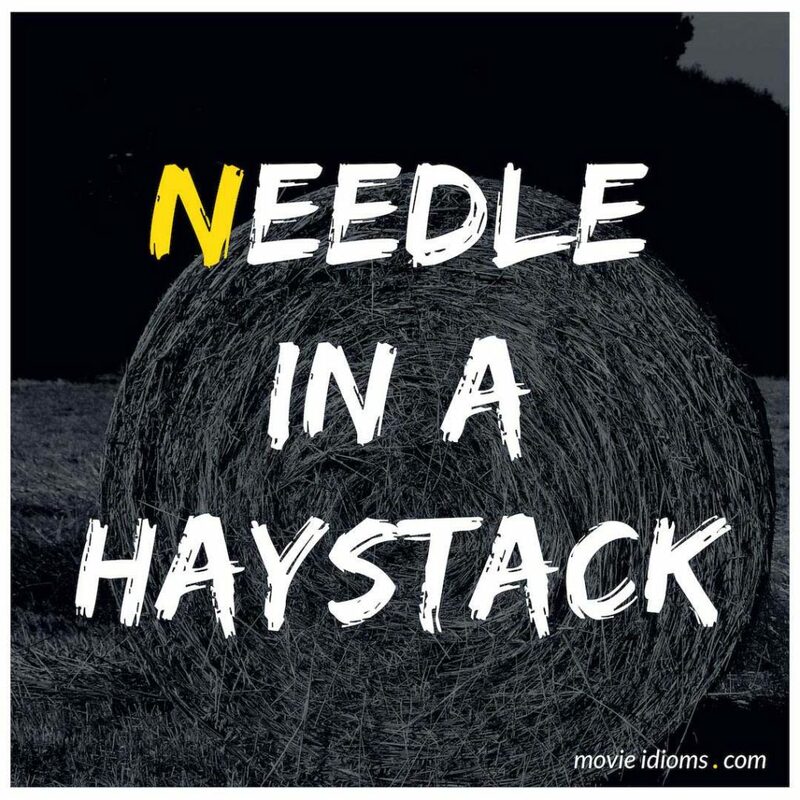 What does needle in a haystack mean? River Song: A needle in a haystack. The Doctor: A needle that looks like hay. A haylike needle of death. A haylike needle of death in a haystack of statues. No, yours is fine. Scully: I don’t care. Mulder, this is a needle in a haystack. These poor souls have been dead for 50 years. Let them rest in peace. Let sleeping dogs lie. Mulder: Well, I won’t sit idly by as you hurl cliches at me. Preparation is the father of inspiration. John: Hello, Xavier, I want to play a game. It’s similar to the game you play as a drug dealer, the game of giving hope to the desperate. I think we can agree that your situation is desperate, so I’m going to offer you hope. By entering this room, you have started a timer on the door in front of you. When the timer runs out the door will be locked forever, locking away the antidote inside it. If you want to find the key, you will have to crawl through the same squalor that your customers have. I’ll give you one hint where to find it. It will be like finding a needle in a haystack.